Phil discovered Leatherwood in 1992 through his love of horses. On many Fridays, he would drive 8 hours from his home in Ohio to spend a weekend at Leatherwood and be back at his business on Monday morning. 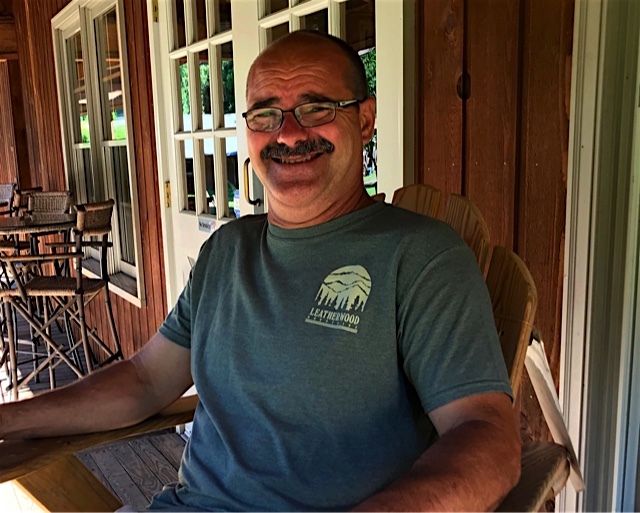 After selling his business in 1997, Phil returned to his home state of North Carolina to Leatherwood Mountains and helped establish Leatherwood's successful Resort business. Because of his love of Leatherwood and the many friends he has made here, he decided to form a partnership and purchase the resort in 2004. He and his wife Susan spend their time between Leatherwood and their Virginia residence on the New River. In the summer of 2017 Phil sold his portion of the business to his protege, Abbie Hanchey. He remains active in the business as a consultant and mentor to Abbie & Trevor. Phil and his wife, Connie raised their three sons on a small horse farm in Newell, NC. In 1991, when friends introduced them to Leatherwood, they immediately became a part of the community. 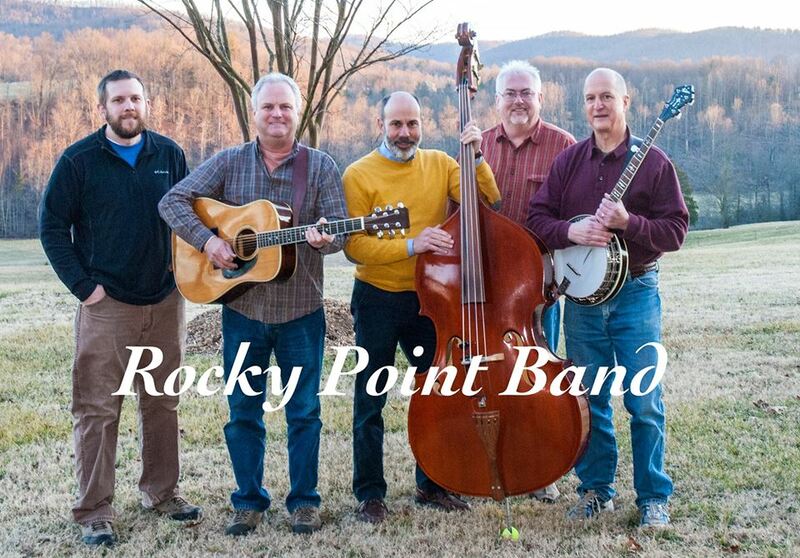 They became full-time residents in 1998 and have never looked back! Phil's time is divided between his career of law and real estate, and his hobbies of woodworking and horse training (he often conducts "horse whisper" clinics at Leatherwood). In 2004, Phil was delighted to accept Phil Rash's offer to join him as co-owner of Leatherwood outside the gate. He believes the blend of mountain beauty, wonderful people, and pretty horses make Leatherwood Mountains the ultimate place to be! In the Summer of 2017 Phil sold his portion of the business to his Son, Trevor. Phil is confident that the future of Leatheorwod is bright and in capable hands with Whitson & Hanchey at the helm! Family ties and a true love for the community have kept Abbie & Hugh involved with Leatherwood for many years. 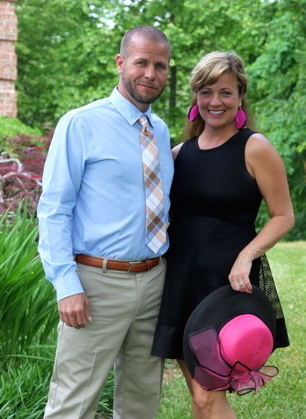 This husband and wife team have built their lives around the resort. Their love of horses has fueled the passion that they both have for this amazing place. Hugh has been operating the equine facility for several years now while Abbie has headed up the Marketing & Event Planning for Leatherwood. Early Spring 2017, Hugh was offered a position with the Northwest YMCA as the facilities director. Hugh remains active as a consultant & silent partner with Abbie & Trevor and you will still see his smiling face around Leatherwood. Abbie took over as Managing Partner and Owner in the business with longtime friend Trevor Whitson in July of 2017. The Hanchey's both feel blessed to live, work and be raising their sons, Holt and Smith in such a beautiful environment. Leatherwood Homes & Land Sales, LLC. Trevor Whitson grew up in North Carolina and is a graduate of Appalachian State University. Some of his passions in life are working with people, traveling, golf and getting to spend his free time in the mountains with his beautiful family. After spending a few years in Charlotte working in both the mortgage and real estate industries, coming to Leatherwood as a real estate broker made perfect sense. "I really love getting the opportunity to help people discover their dreams of owning a mountain home, and I couldn't imagine a better place to do it!". 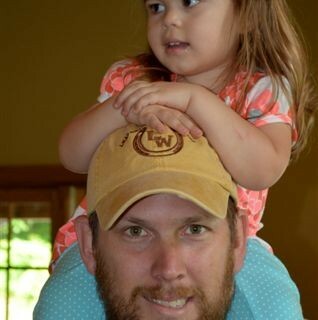 Trevor and his wife Caroline have a beautiful daughter named Cecelia. In July of 2017 he and his lifelong friend, Abbie Hanchey purchased the Business. Trevor feels incredibly blessed to live and work in such an amazing place! Drawn to Leatherwood by its pristine beauty and a kindred spirit, Sue knew that this would someday be her home. 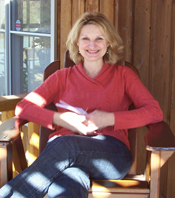 In 2000, she and her husband, David, moved here and she joined the staff as rental manager. Each time a guest arrives, she sees on their faces that same excitement as they experience the magic of this place. What a joy it is for her to live and work in this "little corner of heaven on earth" called Leatherwood! 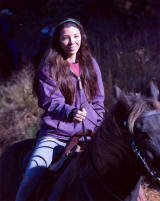 A great love of the mountains and trail riding led to a move to Ferguson from Charlotte and a job in banking in 1999. Susan joined Leatherwood in 2005 and wears multiple hats, functioning as Head Receptionist and Office Manager for the Leatherwood Horse Facility and Cantina/Gift Shop. 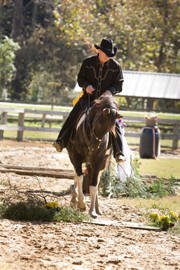 She and husband Bob have raised and shown Arabian horses since 1981. Her horses have claimed many Regional wins and several National Top 10's. 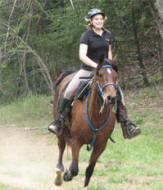 She is shown riding her Arab gelding KK Warlord + at one of NCHC's spring trail rides. 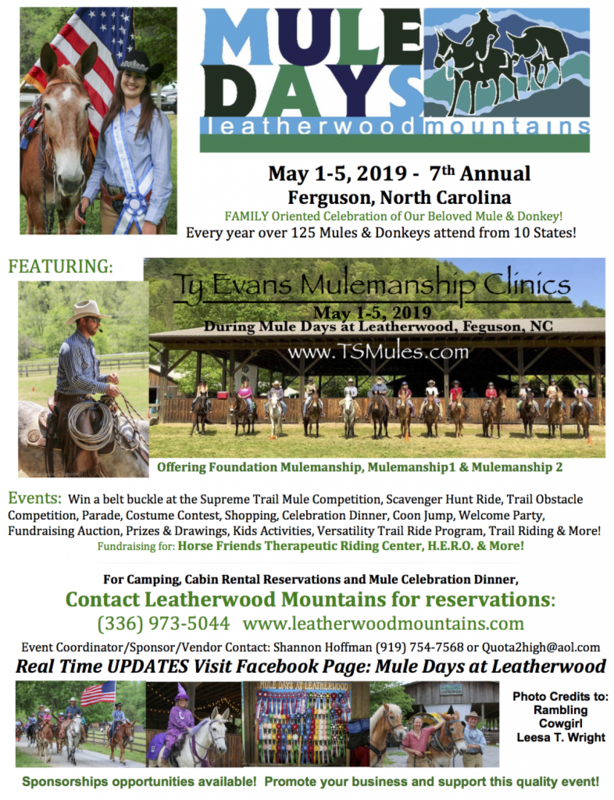 Susan believes that riding the Leatherwood trails greatly contributes to a levelheaded show horse and the all-important "one-on one" relationship you need with your horse. She enjoys meeting new people and is amazed at the "old acquaintances" that seem to show up here. Jamie Falco might just be the sweetest mountain girl you will ever meet! Her warm smile and calm demeanor give her riders an instant sense of confidence. Jamie has been a great addition to our team. She is always willing to help our guests and the horses adore her! Her long black braids flying in the wind make her look like and instant natural on horseback - we are proud she is a part of our crew! Leatherwood loves Jamie!! Our dedicated housekeeping staff goes the extra mile to make your Leatherwood Mountains Resort stay an exceptional experience. Our wonderful crew of cleaners continuously strive for excellence. We appreciate all they do to make Leatherwood Mountains Resort vacation paradise! Carolyn Dyer has been with Leatherwood for over 9 years and our guests have grown to love her as much as we do. Her kind heart and willingness to help are traits that make her a key member of the Leatherwood Mountains Team. You may see Carolyn behind the Welcome desk checking in guests for Cabins and Camping or in the restaurant waiting on customers. Wherever she is you can expect top notch service and a big dose of Southern Hospitality!! Wes headed for the hills 15 years ago and now resides in the foothills of the Blue Ridge with his wife Abby and their daughters Caroline & Zoey. His love for mountain living began in Cullowhee NC where he attended and graduated from Western Carolina University. He met Abby there, and together they started their professional careers in Asheville NC after College. Before moving to Wilkesboro to join the family business, Wes formed a solid foundation for what was to come by working in mortgage banking and real estate. In 2005 he left one of the most successful Real estate teams in Asheville to work with, and be close to his family at Leatherwood Mountains. Wes remains active as a consultant and silent partner to the business. Having relocated to North Carolina from New England, Debbie and her husband, Mark, were looking for trails for Debbie to ride. Once they found Leatherwood, they stopped looking and just didn't want to leave. They found and moved into a rustic cabin here in Leatherwood. The Leatherwood residents and visitors have become their family. Debbie became a Leatherwood employee, working both at the Welcome Center and the Horse facility. "Working at Leatherwood is not like working at all. I get to talk with horse people each day - what could be better than that?" 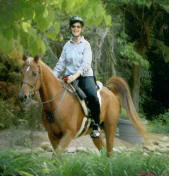 Debbie is an endurance rider and is shown here with her Arab gelding, Tulli. Together they have logged thousands of competitive miles. Mary Vann Johnston has grown up on the back of a horse exploring every inch of these mountains! She has the most beautiful and inviting smile that makes her riders feel right at home. Mary Vann is a successfully endurance rider who has accumulated 1000's of distance miles in competition and training & several 1st place finishes! Her family is the owner of Joetown, a 1,500 acre tract that adjoins Leatherwood Mountains. Our riders are very luck to be able to access their wonderful privately owned trail system. Mary Vann loves Leatherwood and the friends that she has made here, we are honored to have her help with our equine program!